as marked its 160th anniversary with the launch of a brand new website, providing the foundations for continued high-quality service to its customers. The new website, which retains the www.esbs.co.uk domain, has been given a visual overhaul with an eye-catching widescreen layout and brand new imagery. Featuring prominently on the homepage are links to both a portal for customers offering them access to their account information at the click of a button, and to a remodelled portal for intermediaries. The new website also aims to be more easily navigable, introducing a restyled navigation bar to the top and an improved sidebar on the pages under each heading, each with drop-down functions. This allows users to quickly locate the services and updates that are relevant to them. Larger, crisper imagery is designed to maximise the space available on modern computer displays, and the new website is also optimised for smartphone and tablet use, improving the experience for the growing number of users accessing the Society’s website through such devices. Meanwhile, homepage links to the Society’s social media channels allow for straightforward access to updates it shares with its followers on Twitter, Facebook and LinkedIn. Popular features from the website’s previous incarnation remain, including a monthly poll on hotly-debated points of discussion in the world of personal finance, and links to a list of useful downloads. 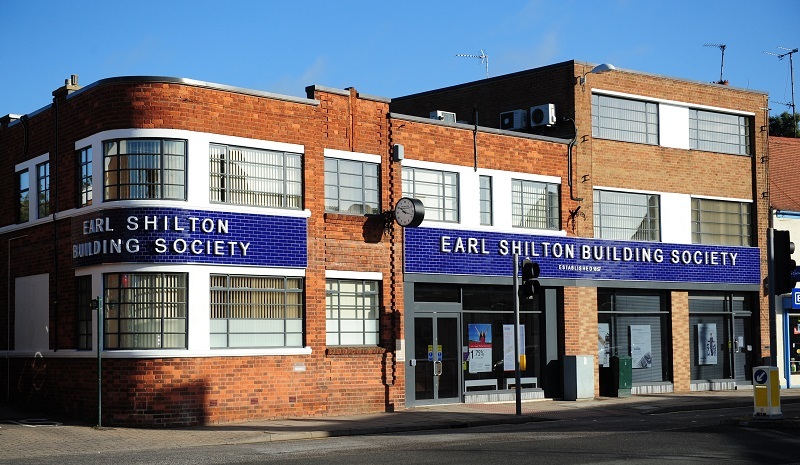 Paul Tilley, Chief Executive of Earl Shilton Building Society, said, “Reaching 160 years of service is impressive for any organisation, but we have only been able to achieve that by continually adapting to the demands of the times, recognising and accommodating the ways in which our customers prefer to access our services. The Society recently attracted headlines when it announced strong results for the 2016/17 financial year, with overall growth of 2.99%, up from 2.27% in the previous financial year, taking its total asset size to £127.66m. Net lending was up, with total mortgage balances rising by over 10% from £91.14m to £101.03m, whilst the Society continued to attract new funding from savers with balances having increased by £2.4m to a total of £115.78m.